Four great adaptations and five originals. Great rhythms and wonderful energy. You'll hear "Birdland" and "Orale" in Cha-Cha. A heart pounding "Ahora!" with "Follow Your Dreams" and "My Ship" all in hot Salsa. The classic standard "I Remember Clifford" is put into a sensuous Bossa Nova and if that isn't enough then comes a lip quivering performance of the great Mexican theme, "Besamé Mucho." To round out a beautiful outing comes two originals from Bobby's life, "East L. A. Blues" and "East L. A. Rasta, " great party tunes. 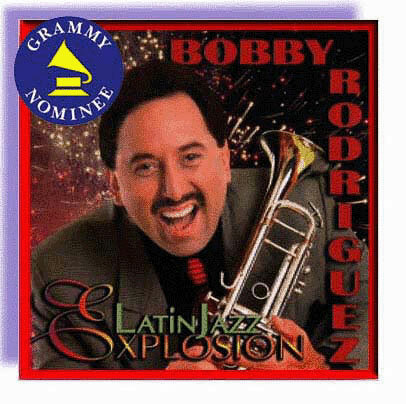 This is Bobby Rodriguez at his best, taking classic songs and making them his own. Did you ever think of "Birdland" as a swinging Cha-Cha or "I Remember Clifford," as the sweetest Bossa Nova of all time? This is another classic recording!